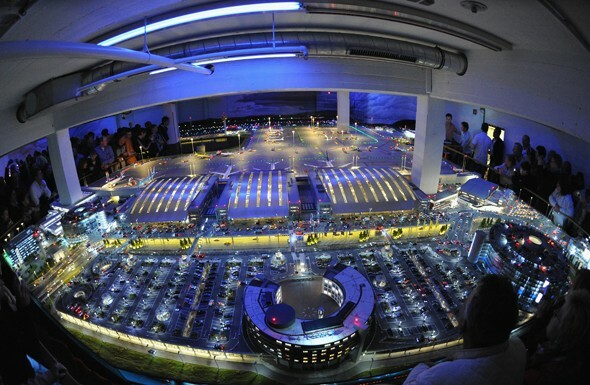 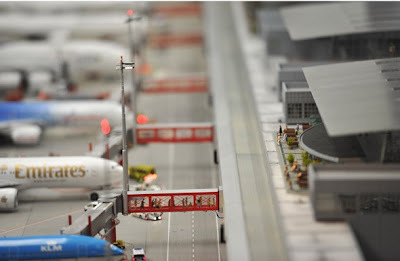 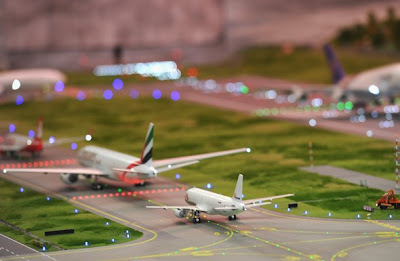 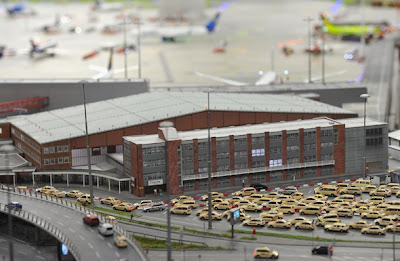 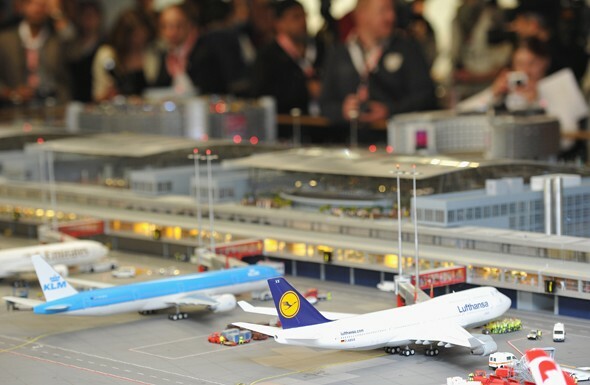 This amazing model airport, based on Hamburg's Fuhisbuttel International Airport cost $4.8 million to construct. 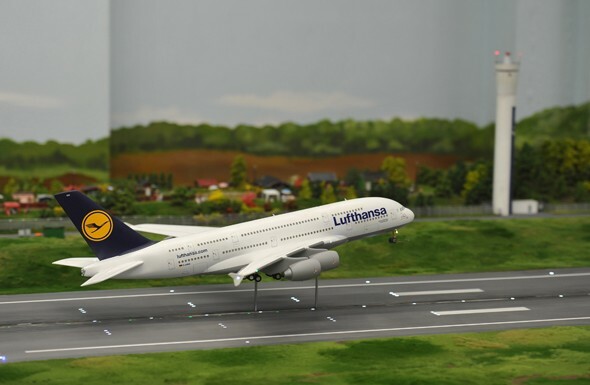 It is on display at Germany's Miniatur Wunderland (which also houses the world's largest model railroad display - see 2/28/2011 posting). 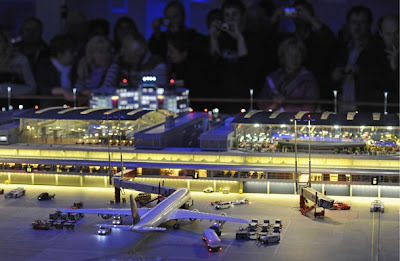 Accessories include 40 planes, 40,000 lights, 15,00 figures, 10,000 cars, 50 trains, 1000 wagons, 100 signals, 200 switches and 300 buildings.